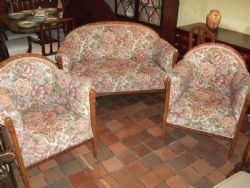 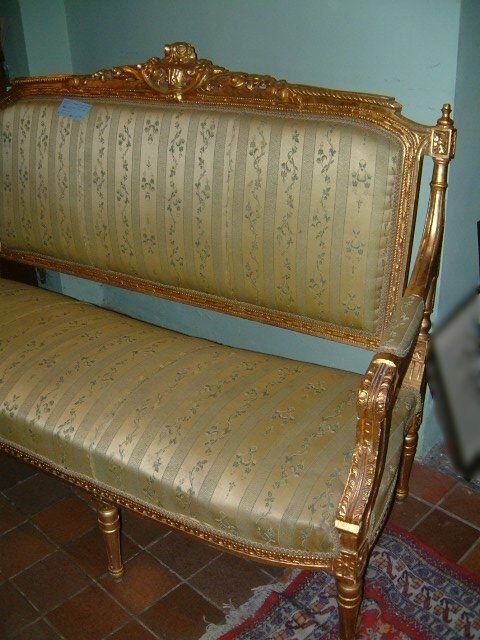 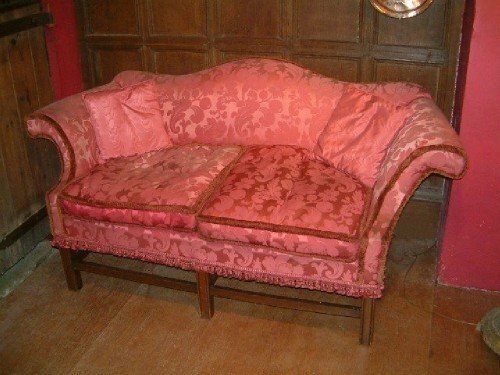 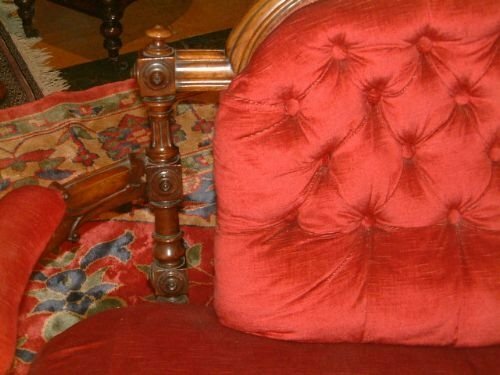 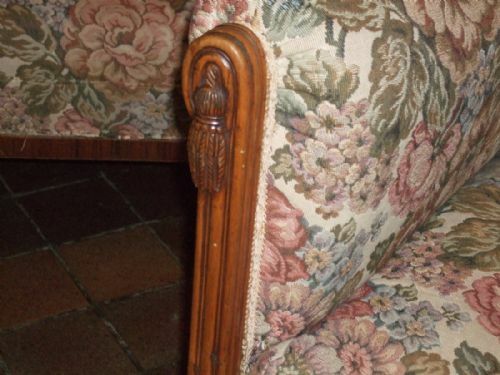 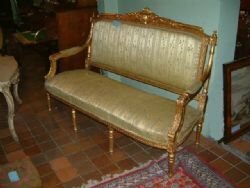 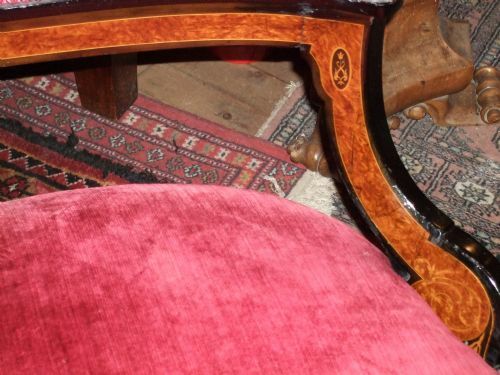 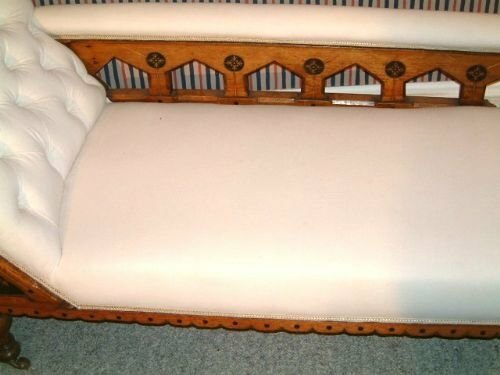 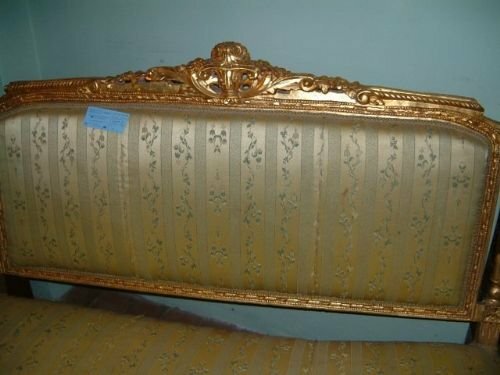 Victorian Oak Gothic Revival Chaise Longue Arts & Crafts period. 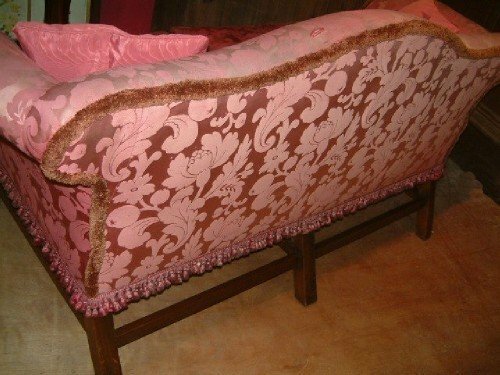 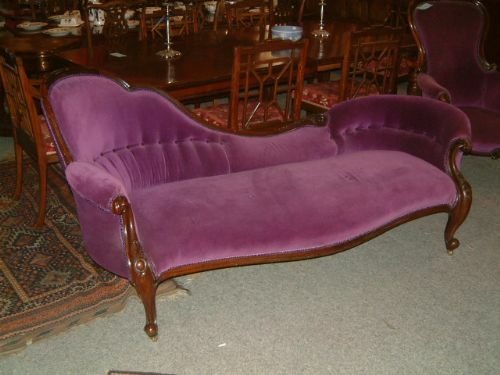 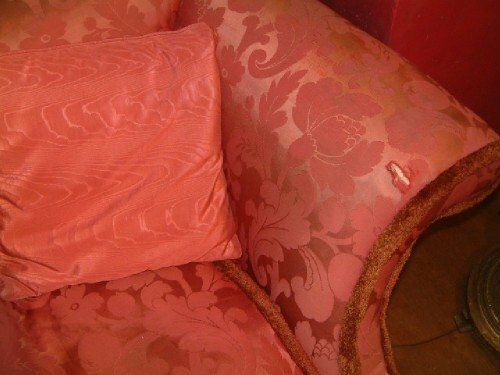 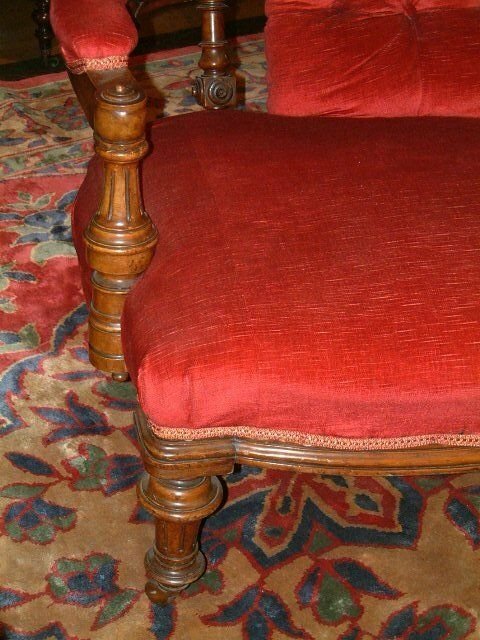 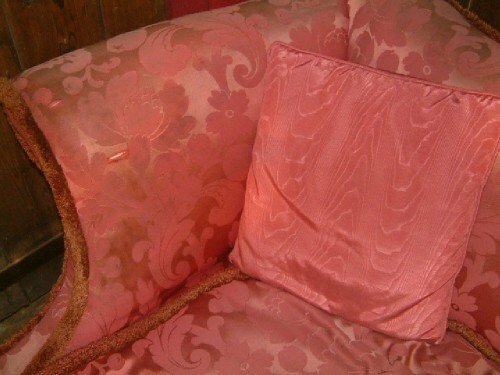 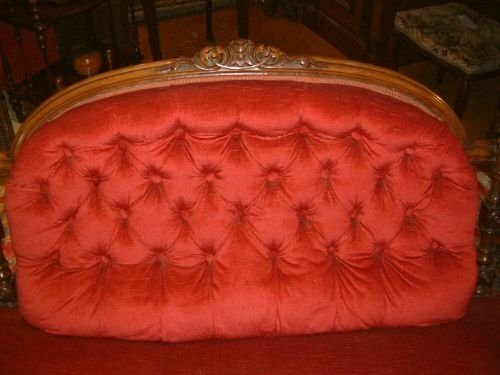 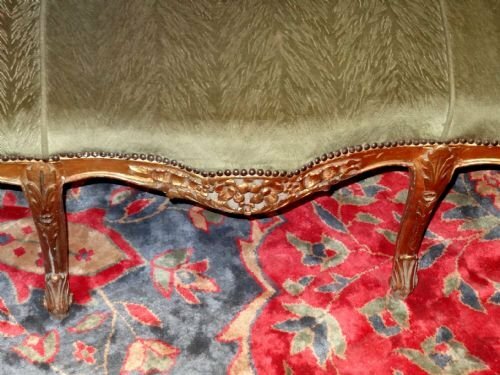 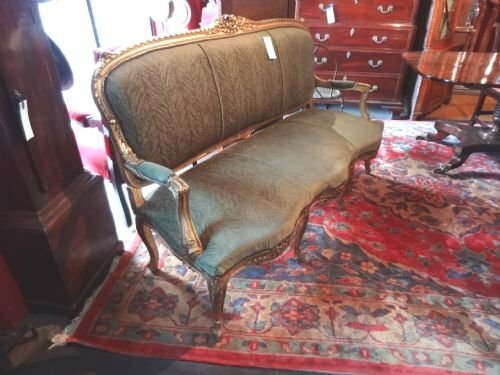 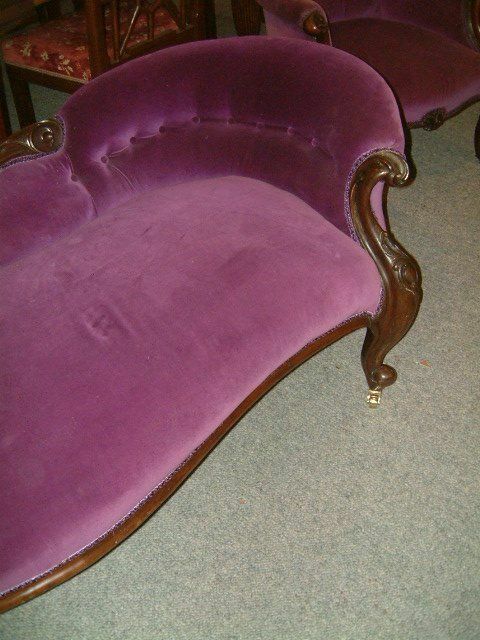 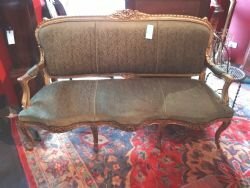 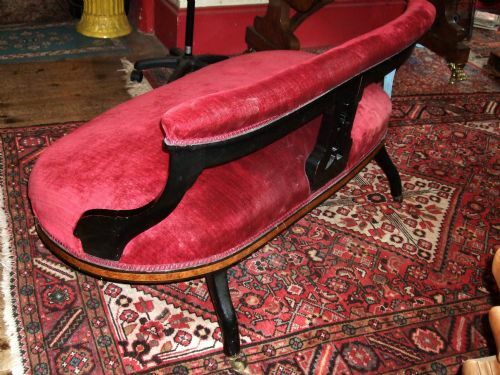 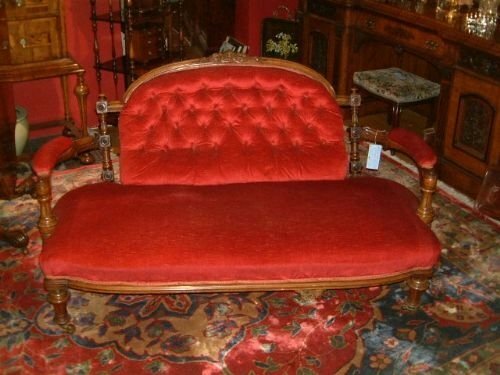 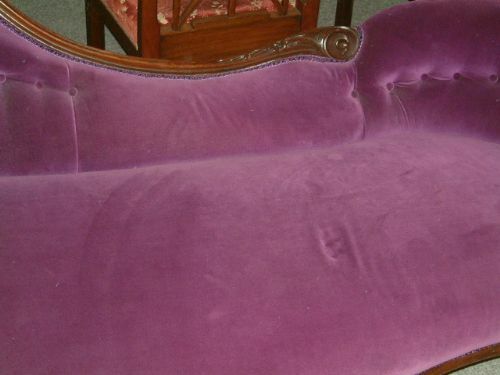 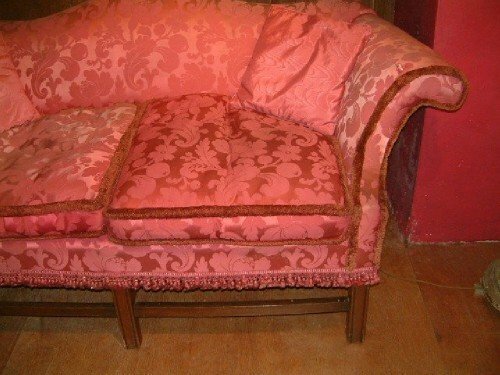 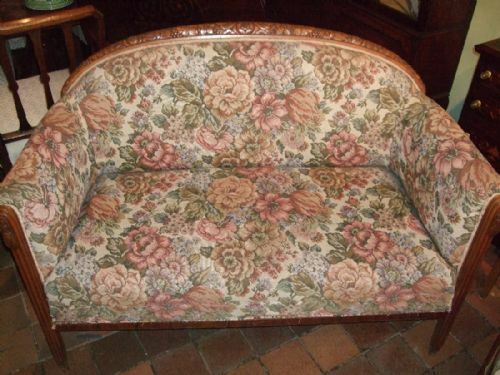 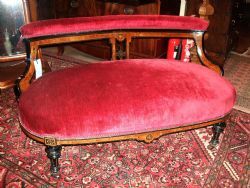 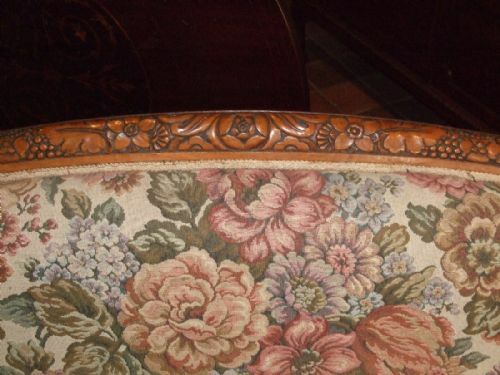 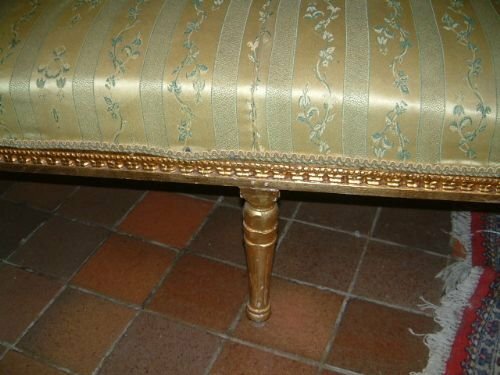 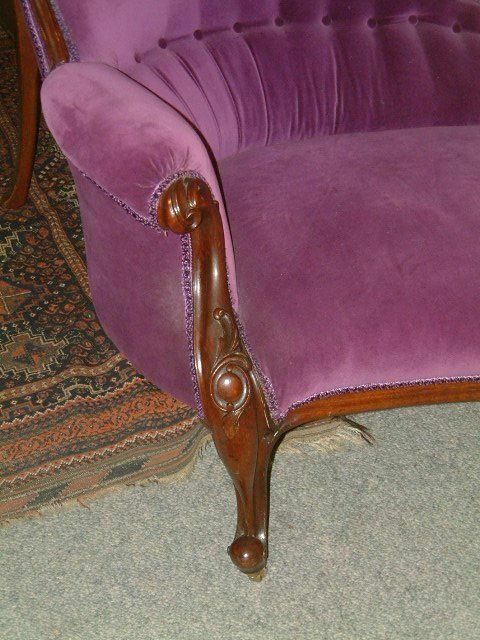 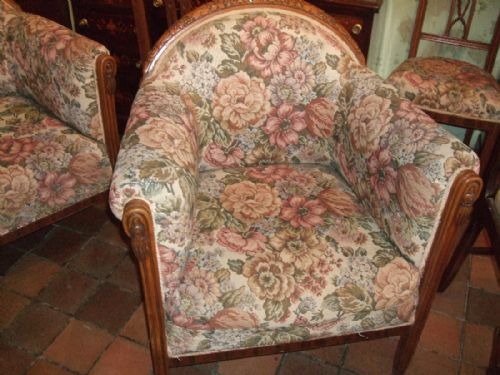 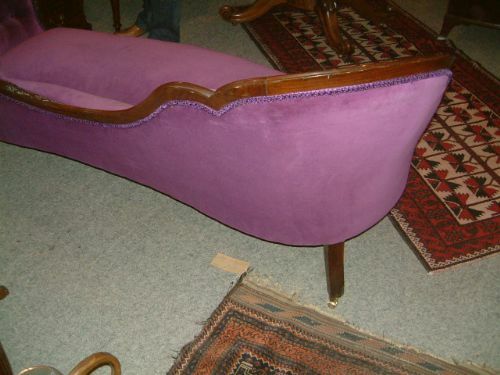 Victorian Mahogany & Upholstered Chaise Longue with Carved Detail. 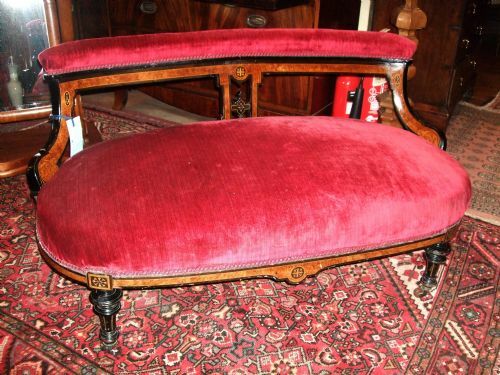 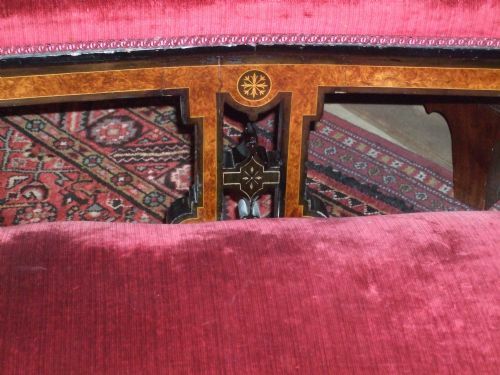 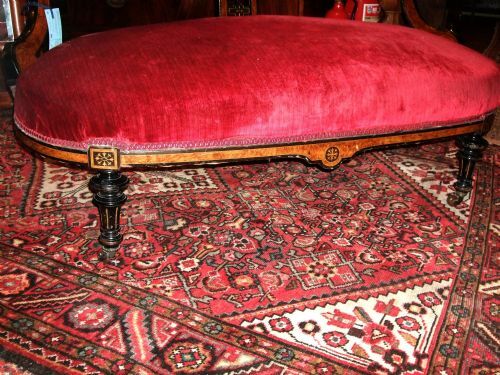 Charming Victorian Amboyna & Ebonised Settee with Fine Seaweed Inlay & Inlaid Medallions Upholstered in Red Plush Fabric Supported on Reeded Ebonised legs with Castors.